I’m one of those strange breeds that genuinely loves grocery shopping. As a matter of fact, I really pride myself on my superior grocery skills. Even if it’s a grocery store I’ve never been in, I have this innate sense for where everything is located. I also usually know exactly what I want going in, so my trips to the grocery store are pretty efficient. I would say it’s a very strange talent. But recently, I tried out SnackNation and was super impressed because I felt they knew what I was craving even more than I did. 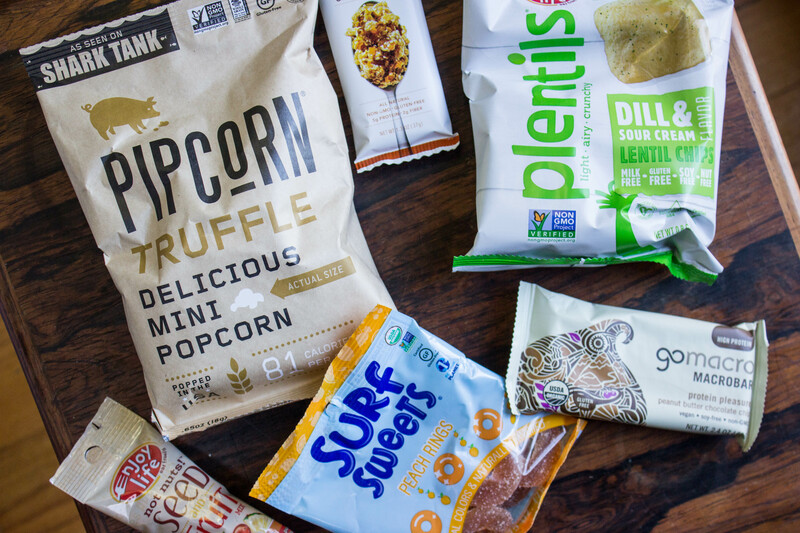 SnackNation is a monthly subscription box full of about fifteen snacks curated to your tastes. For example, I can’t eat gluten or dairy, and they designed the box so I could eat everything inside. Previously, they have only worked with businesses, but they’re extending their services to the everyday consumer, and you should be excited. The best part of SnackNation, though, is that they specifically work with smaller, more innovative companies on the market rather than the generic, post-soccer game slop you’ve been eating your entire life. My favorite additions to the box included Truffle Pipcorn, these adorable, tiny popcorn kernels that pack a flavor punch, and Surf Sweet peach rings. It’s insane how good these peach rings taste, even though they are completely all-natural – no artificial dyes, no artificial sweeteners. If I haven’t sold you on SnackNation yet, you should just go ahead and try for yourself – and you can, for free. They are launching their eCommerce site on November 28, and are giving away a free month’s subscription to their product. Just click here, and you’ll have crazy delicious snacks at your doorstep before you know it. You’re welcome. In the meantime, visit their Instagram to see all the tasty snacks you could get in your mailbox any moment.